We welcome you, dear readers. It’s not a secret that coming release of WoW Legion keeps a lot of people excited. More and more information appears about what it will be like. 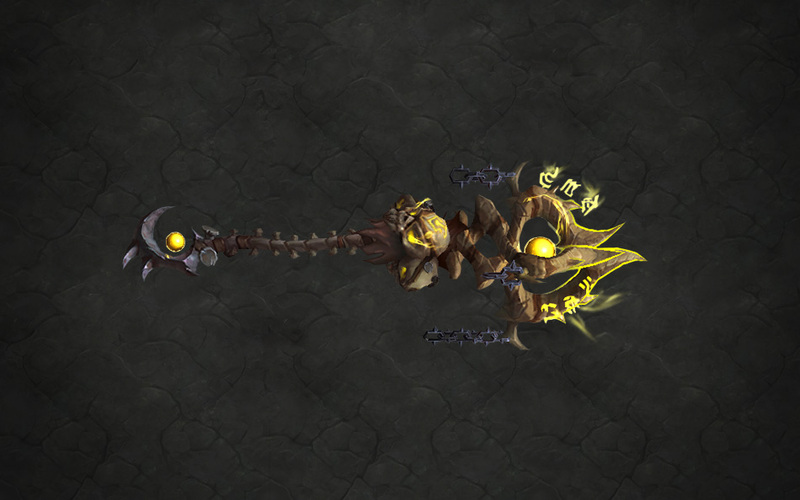 And, perhaps, one of the most interesting aspects of this expansion is artifact weapons. And this is our topic for this article. 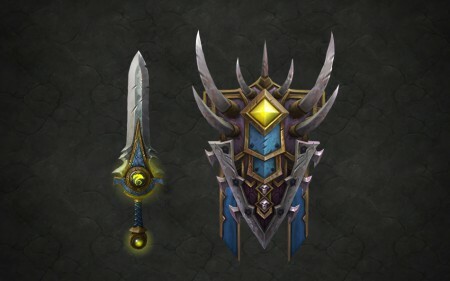 With the release of WoW Legion a creation of the artifacts will be available for players. There will be 36 of them (1 per each specialization). 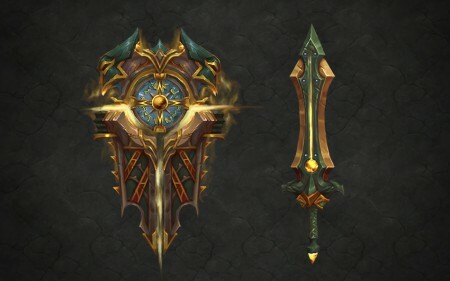 To receive an artifact will be a very difficult task; however, a player who gets one of them should improve theirs weapon. 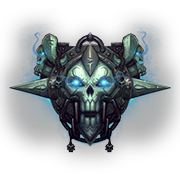 Completing different quests and passing through the different stages of improvements, a player will be collecting «Artifact Power». 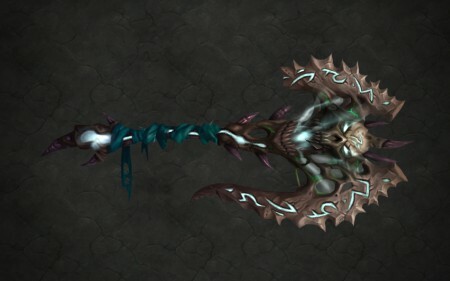 It is used to improve the weapons by changing its appearance and gaining new traits. Let’s move on to the artifacts themselves. And let’s start with Paladins. 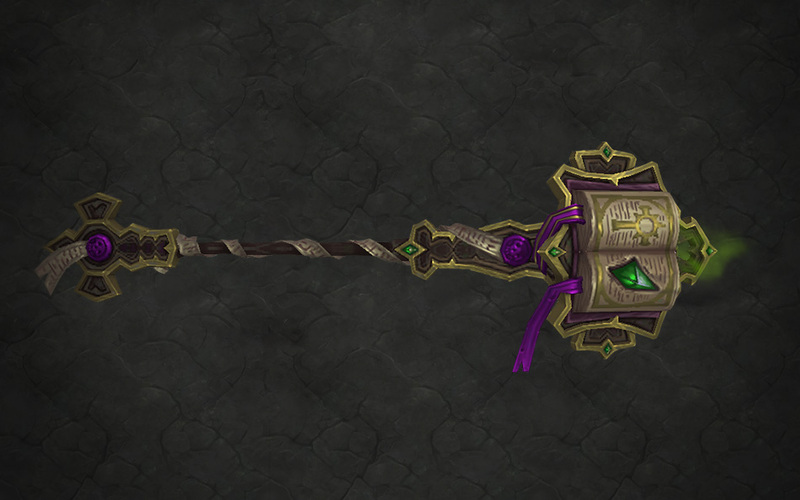 Holy Paladins may get the legendary Keeper Tyr’s weapon «The Silver Hand», a hammer that has seen countless battles. Tyr sacrificed his life to save his comrades. His hammer was lost with him somewhere beneath the land now named in his honor: Tirisfal. 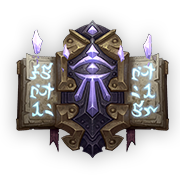 Protection Paladins wield the shield Truthguard which history is written in the tiny imperfections on its surface. 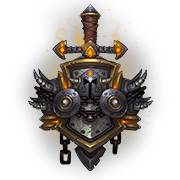 After Tyr’s death the shield was gifted to a brave vrykul who migrated to the Broken Isles, where the shield was eventually entombed in the Path of Kings. 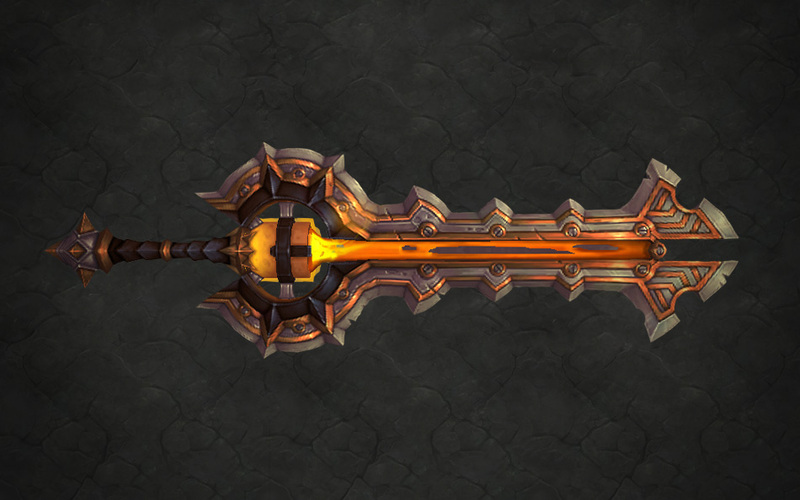 Retribution Paladins wield one of the greatest weapons in the history of Azeroth - Ashbringer. This name has long struck terror into the hearts of those who have faced its power. King Magni Bronzebeard forged the Ashbringer from a piece of crystal and then it obtained magic power to slaughter undead, leaving nothing but ash in its wake. This is the sword which Tirion Fordring used to shatter the Lich King’s runeblade, Frostmourne with thousands of souls inside. Arms Warriors will get one of the best two-handed weapons Stromkar, the Warbreaker. This great sword was borne into combat by the barbarian warlord who first united humanity under a single banner, founding the nation of Arathor. Many years later it was lost in a forgotten tomb beneath Tirisfal. Stromkar has been slowly drinking from the shadowy power there over thousands of years. 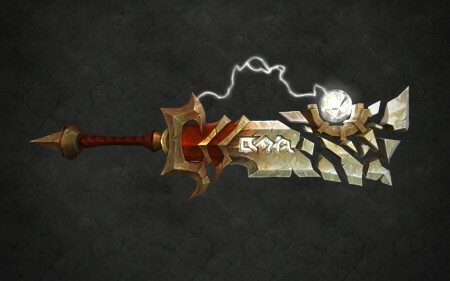 Fury Warriors will get Warswords of Valaja, the weapon which is perfect for cruel battles. 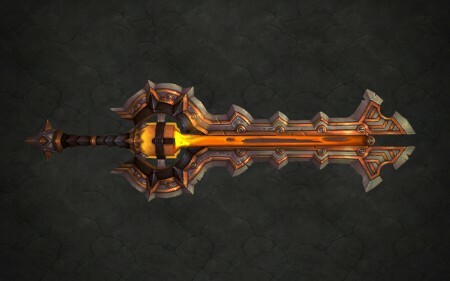 In ages past, the titanic watcher Keeper Odyn forged this pair of swords for the mightiest of his storm-forged Valarjar. However, Helya, being turned into Val'kyr stole the swords. She infused them with a portion of her rage. She then gave them to her own champion, who used them to hunt the greatest of heroes and drag their souls away to serve unburied wizard. Protection Warriors will obtain unbreakable shield the name of which is «Scale of the Earth-Warder». An impenetrable shield crafted from a scale of the black Dragon Aspect, Neltharion the Earth-Warder, before the Old Gods' corruption overcame him. 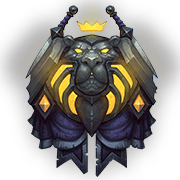 The formidable vrykul king Magnar carried this shield for many years. It is now entombed with the King’s body in the Path of Kings. 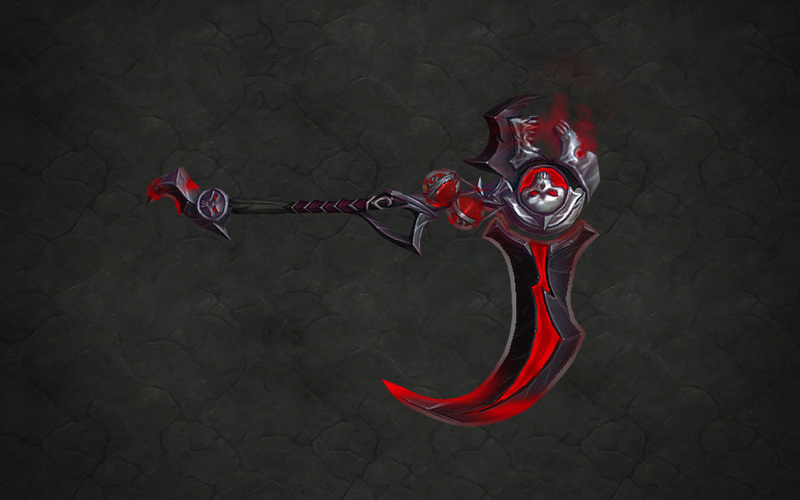 Blood Death Knights having wielded an axe of great power known as the Maw of the Damned will receive the great power over mortality itself. Killing enemies the blade of this axe drains their vital energies. 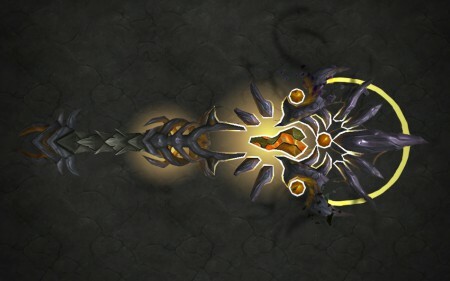 The soul of its original creator is trapped within and the axe itself gains more and more power with every kill. 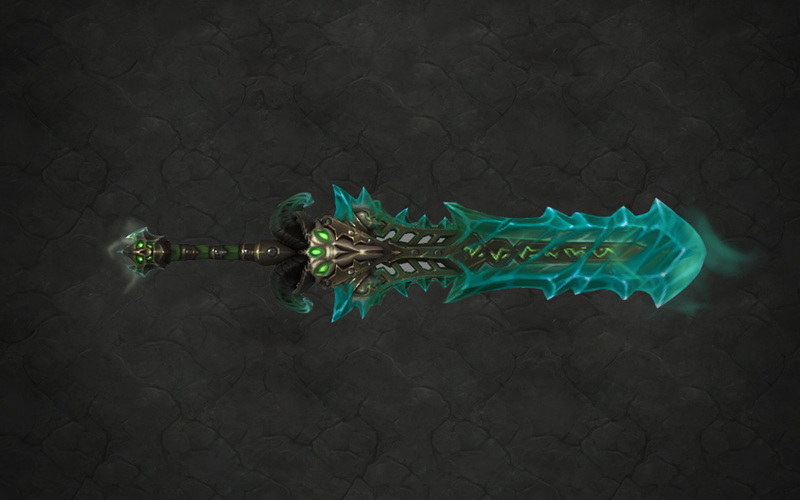 Frost Death Knights will have Icebringer and Frostreaper (Blade of the Fallen Prince). Crafted from Frostmourne’s remnants, these blades contain the souls, absorbed by the Lich King’s sword. When the Frostmourne was broken countless souls were freed. However, the souls which remained it its shards gift unbelievable power to those who is able to manage with the will of Blades of the Fallen Prince. Unholy Death Knights being the lords of life and death can craft Apocalypse. Forged by nathrezim, this ancient sword, brings with it violence, plagues, and death. 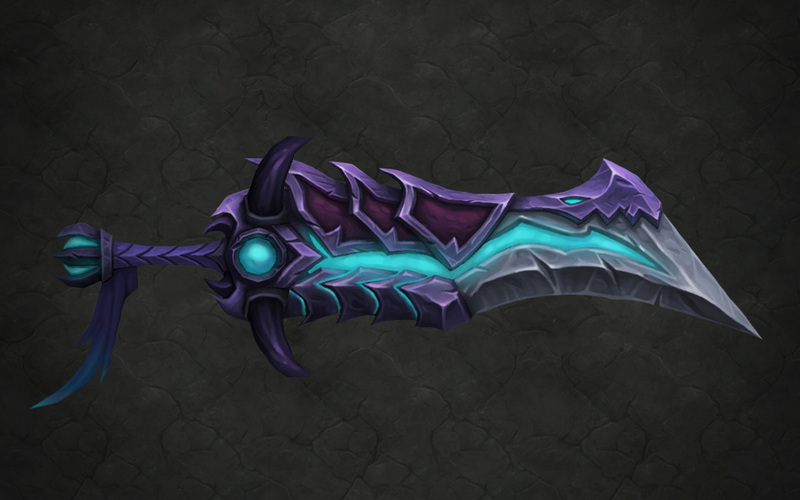 This sword became famous after it got into the hands of Medivh, the Guardian of Tirisfal. The powerful mage couldn’t cope with its destructible power. 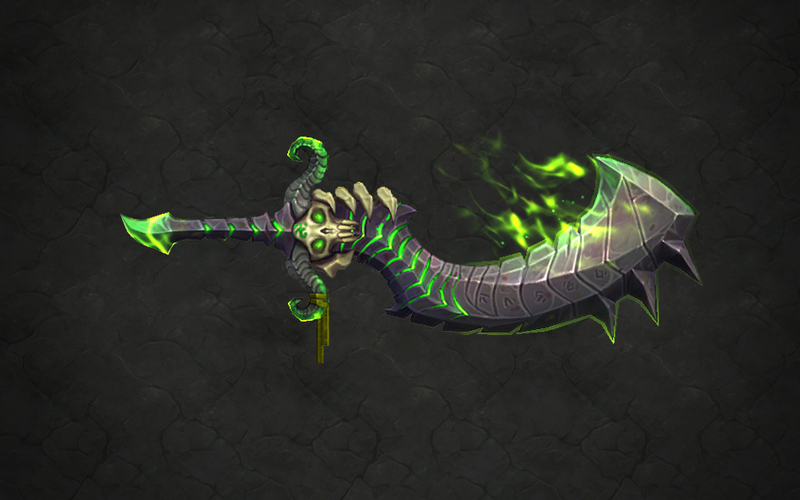 Dark Riders having possessed this blade hid it in the catacombs under his home, the tower of Karazhan to prevent further destructions. 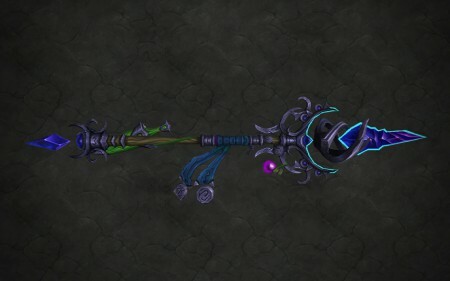 Arcane Mages wield Aluneth, Greatstaff of Magna. 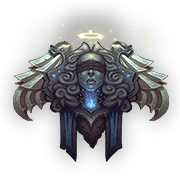 It was most notably wielded for a time by Aegwynn, the female Guardian of Tirisfal. She is said to have found the staff after she took up the mantle of Guardian, and went to battles against the Burning Legion. Several years later she retired the staff, but none know where she might have stored it..
Fire Mages wield the sword Felo’melorn, known as “flamestrike” in its native elfin language. It was borne into battle by members of the Sunstrider family. 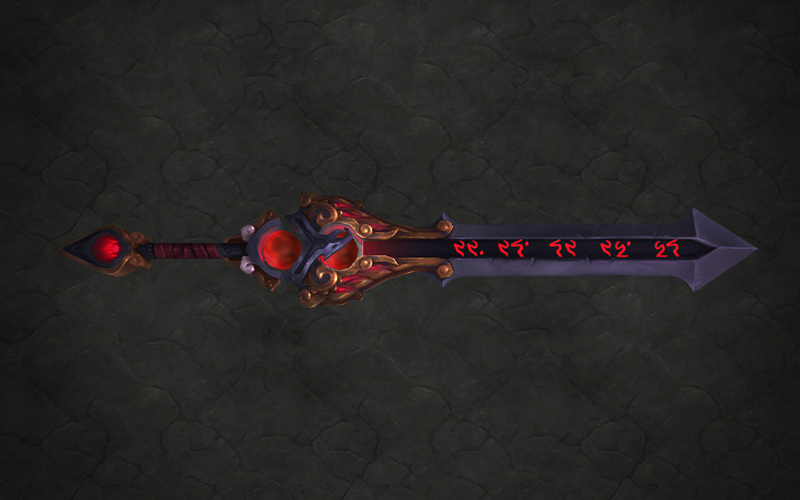 After it was destroyed, Prince Kael’thas Sunstrider reforged the sword to be even stronger and used it against the Lich King. Fighting in unequal conditions, Kael’thas was forced to retreat, and the sword was lost in the frigid wastes of Northrend. 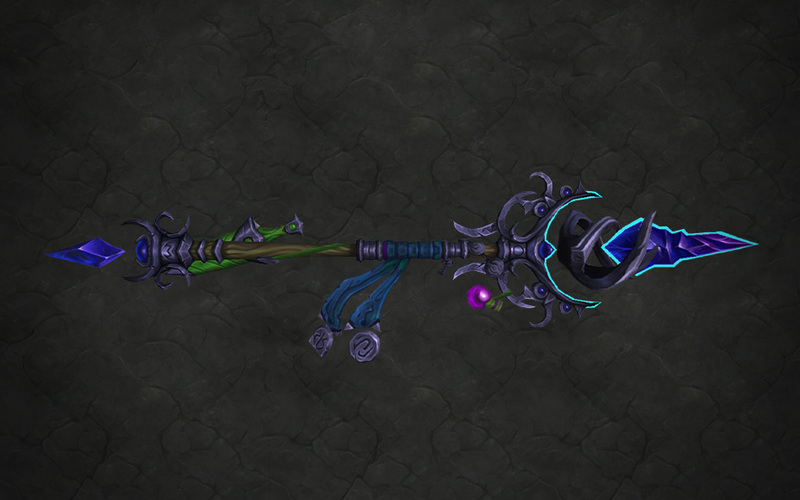 Frost Mages wield the power of Ebonchill, the staff of the first Guardian of Tirisfal. 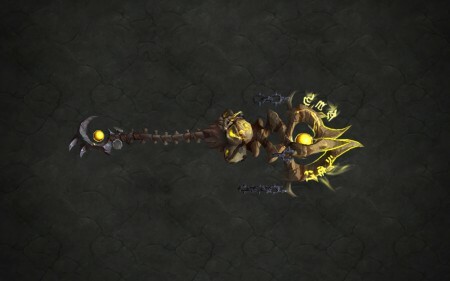 Alodi armed with this staff, brought cold fear into the hearts of the enemies during sanguinary battles against Burning Legion. 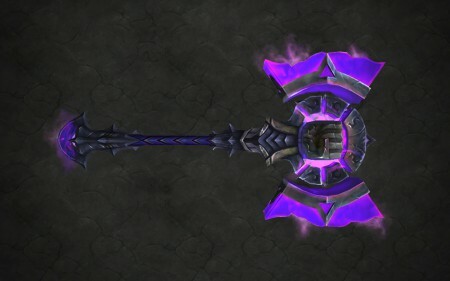 Upon his passing, the Kirin Tor stored the staff safely away for fear of what might happen if a lesser mage attempted to wield its power without the ability to control it fully. Discipline Priests control the magic somwhere between the light and shadow. For them, this balance must be carefully cultivated so that they might wield and control the power of the staff Light’s Wrath in battle. This staff is unstable and unpredictable. The fanatical Scarlet Crusade in attempts to fight the Burning legion tried to create a second Ashbringer in the form of a staff. However, a dreadlord interrupted their efforts. The staff has been spoiled but its power was undeniable and the proofs are uncountable destructions, which happened when someone tried to bit it. To avoid catastrophe, mages of the Kirin Tor hid it. 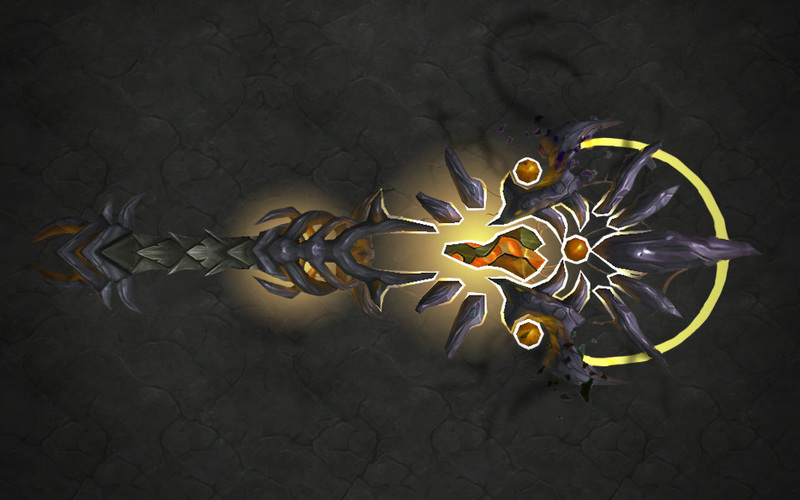 Holy Priests embody the power of the divine and thus wield a true weapon of the Light: Tuure, Beacon of the Naaru. Naaru rescued the draenei from their homeworld after most of its people were transformed into demonic recruits for the Burning Legion. Demons nearly overwhelmed the fleeing draenei, but the naaru protected the refugees with this beacon crystal. Tuure is able to regenerate horrific wounds and bring people back from the brink of death. Once, demons possessed it and now its dislocation is unknown. 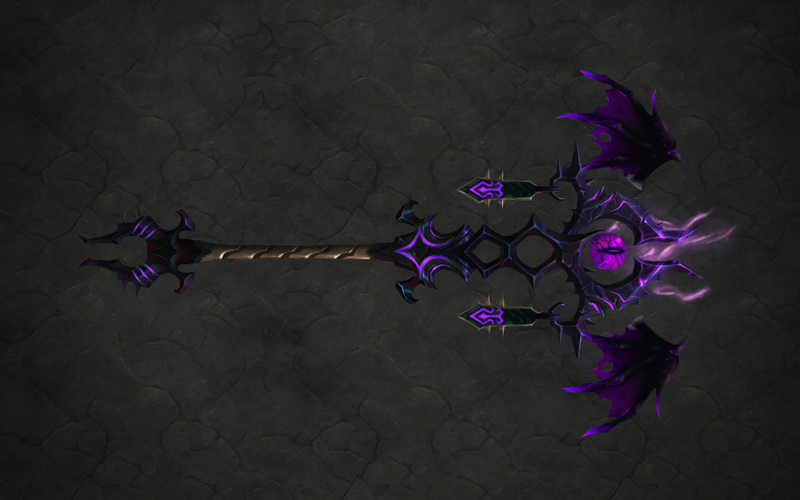 Practitioners in the ways of shadow will get Xal'atath, Blade of the Black Empire. 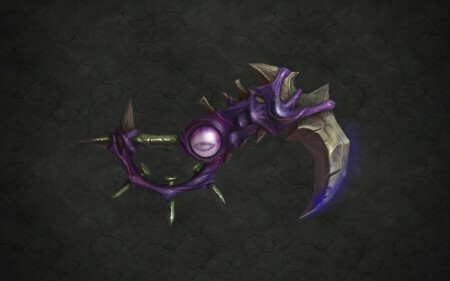 This dagger was made from the claw of an Old God eons ago for ritual sacrifices during the height of the Black Empire. After the fall of the Old Gods, Xal'atath was hidden away by cults, but from time to time it was used for some rituals. It absorbed the powerful magic by digging into the victims’ blood and flesh. The blade has a will of its own and is able to break the will of even the most experienced Priest. Affliction Warlocks are the masters of shadow magic. They will get greater energy Ulthalesh, The Deadwind Harvester—a great scythe that harvests souls from its victims, taking their power for its own. The first necrolyte, Satiel, was given this scythe by the titan Sargeras himself. 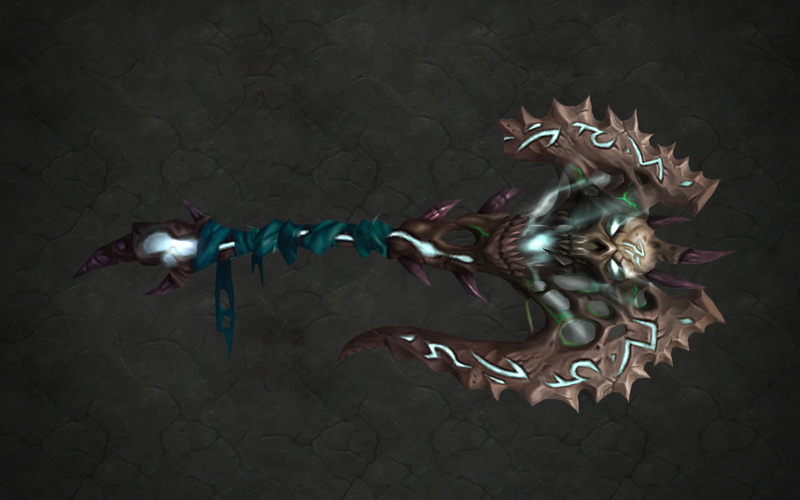 The Harvester earned its name as Satiel methodically drained all life from the hapless inhabitants of Deadwind Pass. After Satiel was defeated, the reaper absorbed her soul as well. Later, Dark Riders buried the weapon beneath the tower of Karazhan. 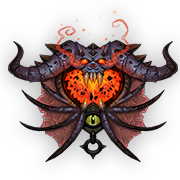 Demonology Warlocks are the masters of demons and with the Skull of the Man’ari in hand, they are able to command and empower the greatest of these malefic beings. Before the eredar served the titan Sargeras, one of their greatest leaders, Thal'kiel, had unprecedented skill with summoning and binding magics. His actions grab infuriated the demon lord Archimonde, who struck him down, then had his skull gilded and placed on display as a warning. Sargeras’ name is synonymous with destruction—so what more fitting weapon for a Destruction Warlock than the Scepter of Sargeras? 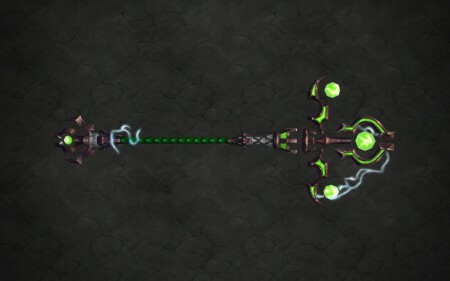 It was created by hundreds of Sargeras' servants. Its power is so huge that it can open dimensional gateways between worlds. It was entombed beneath the sea for centuries, and then used by the orc shaman Ner'zhul to open the portals that tore the world of Draenor apart. Years later, the mages of Kirin Tor got the staff and hid it in a magically protected chamber to prevent it from being used again.